An unified platform for desktop and Internet apps. 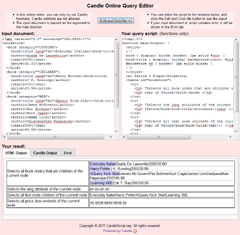 Candle is not just about open source. It is also Open Knowledge and Open Design. Read more about what is open design and why. Copyright © 2010-2011 CandleScript.org. All rights reserved.